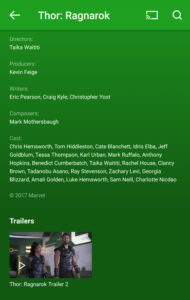 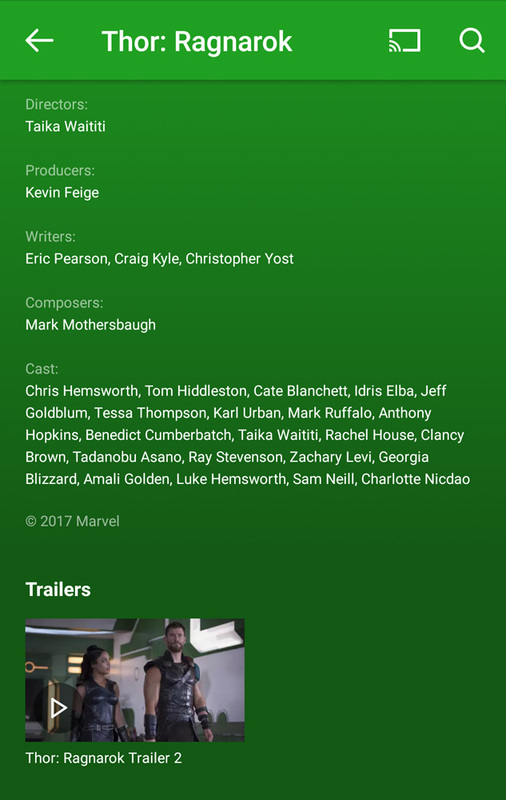 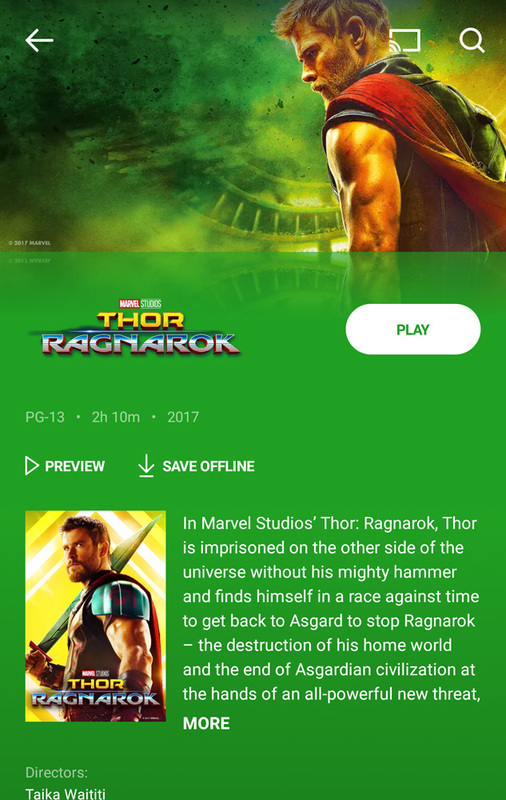 Thor’s 3rd solo film Ragnarok was released on digital HD on February 20, 2018. Two weeks later, on March 6th, it was released on Blu-ray and DVD. 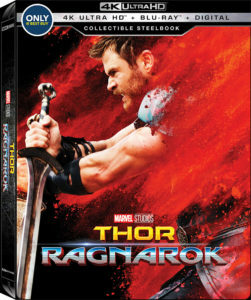 As is the case going forward, major movie releases will get a digital only release two weeks before the physical disc release date. 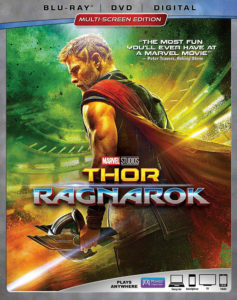 When you purchase the disc version, you can also redeem a code for a digital copy, giving you streaming access to the movie and special features. 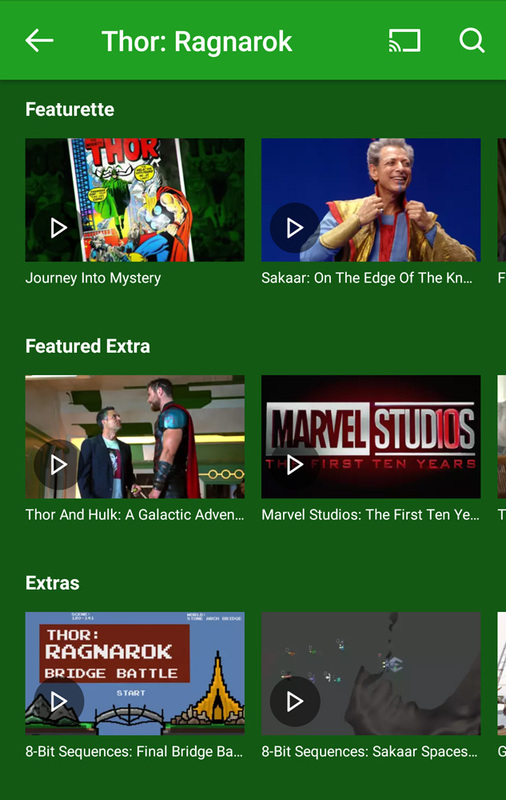 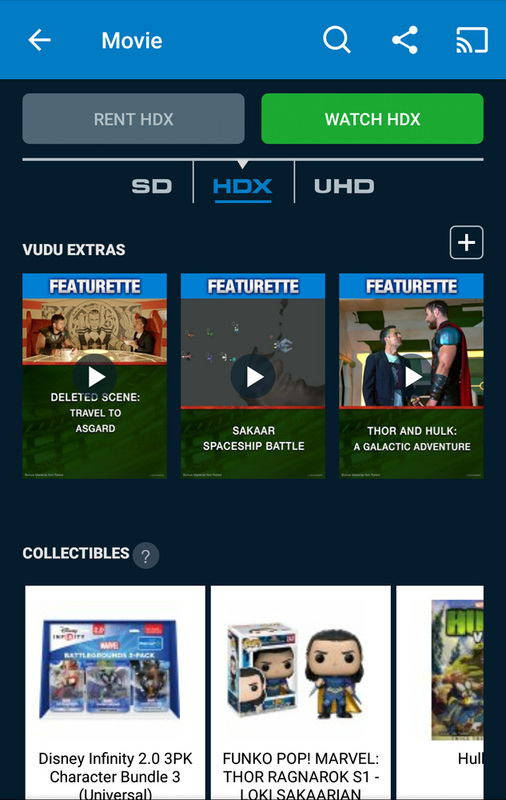 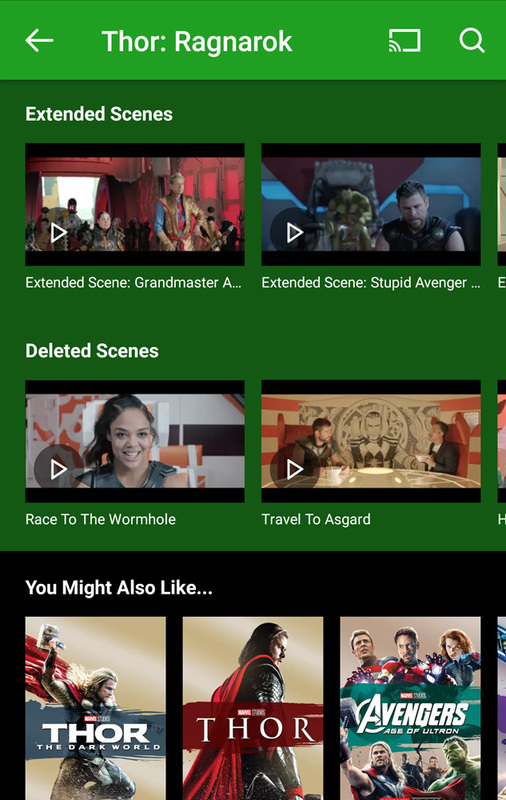 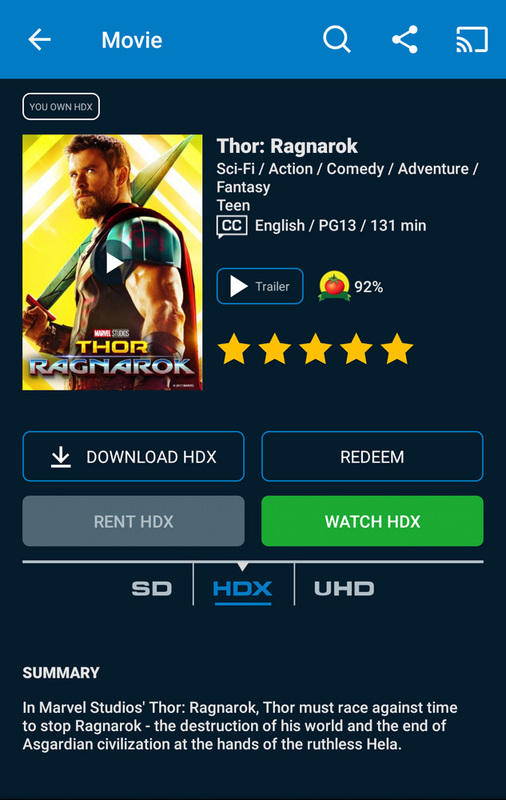 The digital access is through Disney’s Movies Anywhere service, allowing you sync your film with other partner service providers like Vudu, Amazon Video and Google Play Movies. 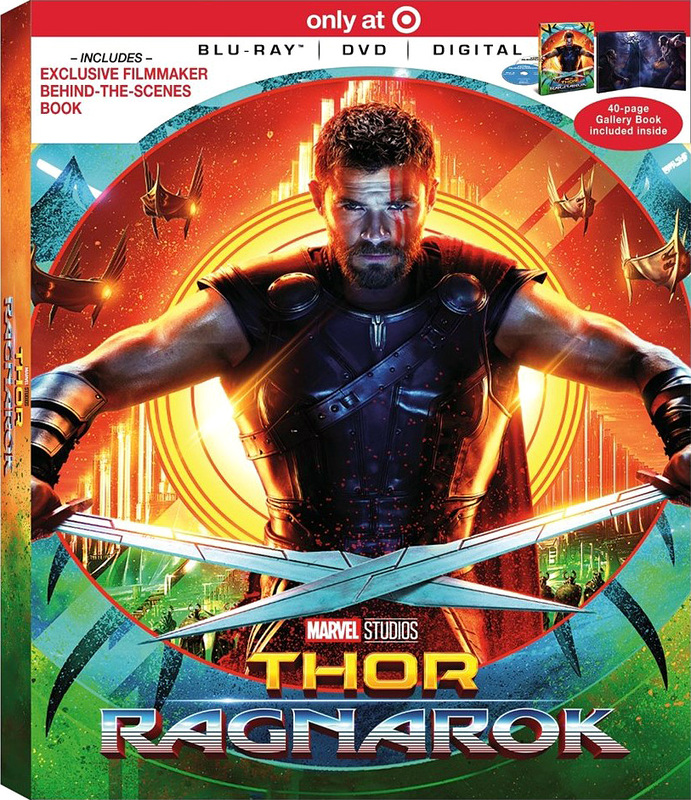 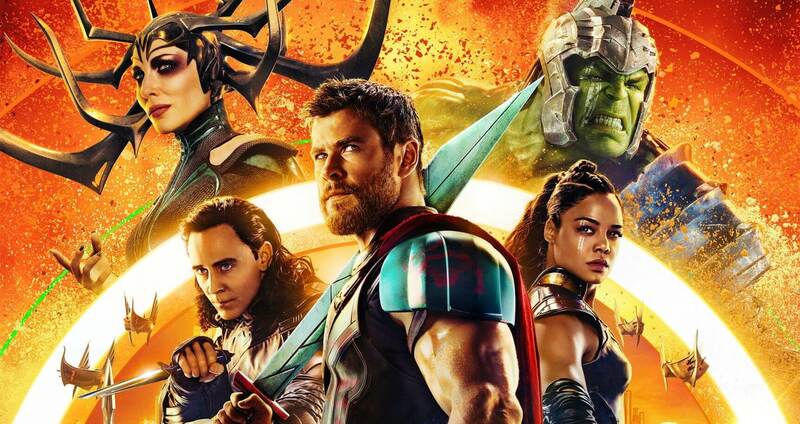 The regular Thor: Ragnarok Blu-ray multi-screen edition comes with Blu-ray and DVD discs. 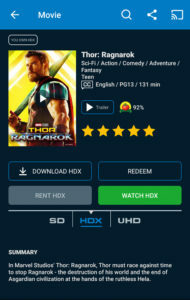 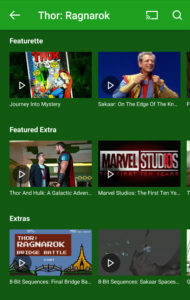 It highlights the fact the movie can be played on computers, tablets, phones and TVs via Disney’s Movies Anywhere service. The Target exclusive edition includes a 40-page behind-the-scenes filmmaker gallery book, as well as a DVD and Digital HD copy. 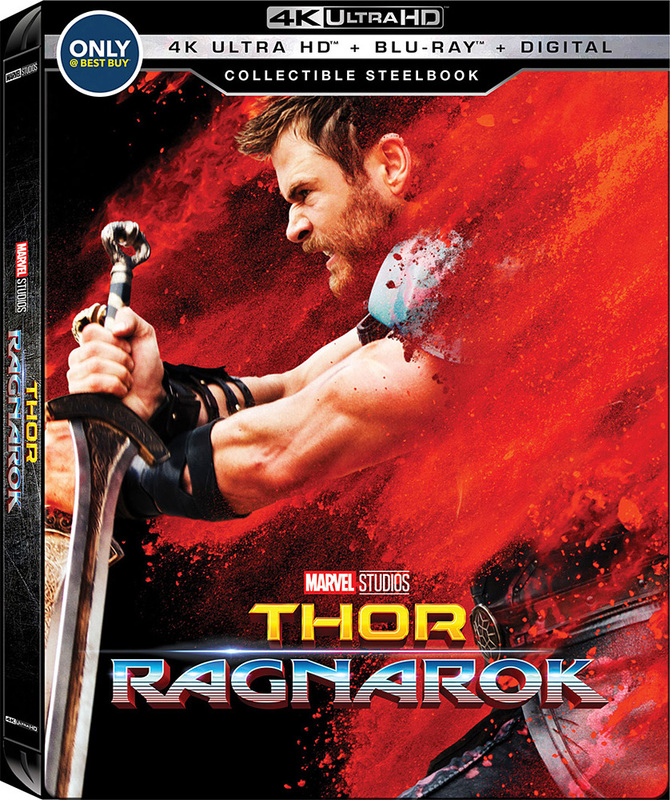 Best Buy has both Blu-ray and 4k Ultra HD Blu-ray exclusive editions. 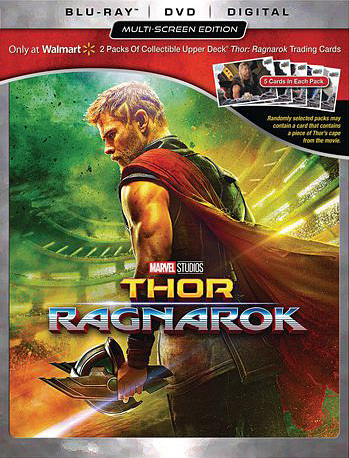 Each packaged in their signature steelbook case. 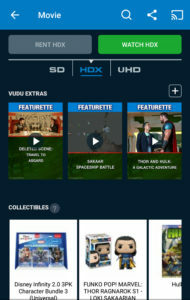 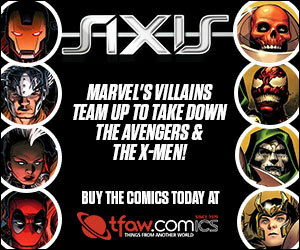 They include either a DVD or Blu-ray as well as digital copy. The Walmart exclusive edition includes 2 packs of collectible Upper Deck® Thor: Ragnarok trading cards with 5 cards in each pack.